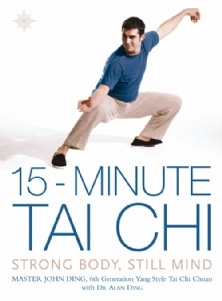 Michael has studied Tai Chi since 1999 and Shaolin Kung Fu since 2009 and has developed a deep understanding of how these traditional Chinese exercises can improve health, happiness and longevity. And, he is a keen Yoga and Pilates practitioner for over ten years. Michael is a freelance sports writer and health blogger so has researched and studied in-depth the latest medical research and health news further enhancing his ability to unravel the current knowledge about what makes Tai Chi, Qi Gong, Yoga, Mindfulness and other holistic exercises so good for us. As an experienced tennis coach, and tai chi instructor, Michael has helped improve the fitness of a wide demographic of people from as young as 2.5 years old right up to over 80. So has seen first hand the positive effects of regular exercise and the many negative effects sedentary urban living can have on our minds and bodies. He has helped change the exercise habits of hundreds of his students by educating them to lead healthy active lifestyles to help relieve and prevent physical and mental problems. Many students, young and old have been guided in a fun and relaxed way to help strengthen awareness of their energy flow, physical body, as well as giving great techniques and guidance in mindfulness. So no matter your age or ability you can benefit from Michael’s wealth of experience in health and fitness in a calm and relaxed environment at one of the health centres he works in. I’d like to attend the stained and David Lloyd classes, are they still £10 payg? David Lloyd and Staines are members only but you can probably get a free trial and see if it is worth doing. David Lloyd Kingston is Thursday and Saturday, Staines just Sunday.